About Me: Co-founder at Altpocket. Favourite Tokens: Svensson has not listed any favourite tokens. There is more to see on Svensson's profile, please login to get access. We are giving away a Ledger Nano X, check out our twitter for more info on how to join! Nice! Good luck to everyone participating. I'd like a free Ledger. Love it! That Ledger x looks great! But you have Altpocket, that's enough in my opinion! Good luck to all and glad to see some activity again here. Good luck boys,whoever wins better put that ledger nano x in use. I want this so bad!!! good luck ! Would be awesome to test out the Ledger Nano X. Thanks for the amazing portfolio tool! Thanks everyone that joined the competition. We are currently testing portfolio charts on our dev server, our mobile app is also in the making (4-6 weeks). Is there anything else you think we could do to improve the platform? Are the api connections in the portfolio 2.0 section working correctly now? As in are they showing the correct ballances from the peoples exchange accounts? Yes the new system should work like a charm! 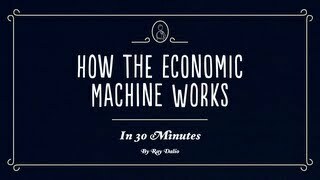 Great video on how the economic machine works! Is the next financial crisis near? And why history repeats itself? Yeah, sure is a great video. Is the next financial crisis near? I think so! What is the absolute best trade you have ever made? Mine was 8x on $ETN bought in ICO after @victor talked me into it. sold my selfkey (KEY) approx 12 - 24 hours following listing on binance. Probably Verge. I got in at a penny and sold at the top. Pure luck of course, but the best profit margin by far. when it got listed on Binance and Bitfinex got a double price spike within a single candle, doubled up my BTC value almost installed and it was back down to almost the same price the next day. I turned 7neo into 10 this week!! Im yet to know what a good trade is... I entered crypto in the ATH's, but do probably own small portions of other peoples lambos!!!! Shout out to @cryptostache for the epic youtube review! If you guys make any content regarding Altpocket, feel free to share it with us, we love stuff like this. Thanks for the love @Svensson ! This Friday we closed our seed round and got some really good, active investors on board that will help us take Altpocket to the next level, no, we will not go out and buy a lambo anytime soon, the money we raised will mainly go to hiring more developers so that you guys can expect faster, more frequent updates on the development side. To wrap things up, I just want to say thanks to all you guys and our dedicated team, we couldn't have done this without you. Much love to the community. Thanks for being apart of the community! @Svensson @Edwin Best of luck! By the way, will there be a job description for what you re looking for or positions are filled already? @HolyKnightQ8 Thanks for being a part of the community! We are also looking for junior developers. but they need to be driven and really engaged in the platform. @dullarddist they do not handle storage of (crypto/fiat) wallets/balances or more than just Read access API Keys so I would say the need for security isn't greater than any other typical PaaS should have. @mpeis007 yet :-) and there are indirect security concerns such as people who did not grant read only or an excellent bit of spearphishing intel if you can identify individuals and how much crypto they have (and where). I don't disagree, but if you do not build in appropriate scale and security now, retrospective will be a lot harder and far more costly. @dullarddist Yes of course, security is really important. But at this point we maybe don't need someone working full time on that. Hope you guys are excited about the future, I know that we are! We will expand our team with one more developer in the early April. "Forget the hype build things"
Wanna see a preview of the Altpocket app? Sorry for the double post, we are also 90% done with the new social update, that will make all the posts/comment in real-time! Beautiful. +1 for night themes plz. Just want to say welcome to all our new members, the last 30 days have been really crazy (We have grown 100%). Thanks to everyone for being a part of the community and for sharing the word about Altpocket! In other news, if you want the Twitter badge, now is the time, after next week we will be discontinuing it for the time being. You will not only get the badge if you follow us, you will also get to see our regular posts and updates, so it's a great way to stay up to date with progress on Altpocket! Not on Twitter myself, but I would if I were. Keep up the great job you're all doing! @mBTCache Thanks for your follow. Please check our latest post for more details. No problem @sdegroot if you still want some updates we now also have Instagram! Tjena @Svensson vad trevligt att se en Svensk Co-Founder! Followed, but couldn't find your other post with instructions. All you have to do is post your username under there latest tweet. If youve grown by 100% in a month @Svensson congrats, but then im sure, we, your community, all want you to develop AltpocketCoin APC, that you can programme it cleverly, so its value increases proportionally with membership..... Forget the meh Kucoin Api....... i've got 1000$ for some early adopter APC! following on twitter. How do I get the badge? Remember to post your username under their latest post guys! @blurber Nice to have some more swedes here. Both Edwin and I are from Sweden (Trollhättan). I despise twitter. So toxic. Glad to be part of the family! Really looking forward to binance/kucoin/cryptopia/huobi etc etc being added in near future. Hey I followed you guys on twitter 7 hours ago and tweeted under the tweet 7 hours ago and still no reward? Just curious why i didn't get it yet. This has been by far my go-to portfolio management everyday. Keep up the great work! Will there ever be an alpocket app for IOS? I am not on twitter or insta myself... I hope these news will also be given on your discord (the "announcements" channel or maybe a "news" channel where you give the exact same information as twi-gram ;-) ). Thanks. I followed you guys. :) Can I get the badge? @exigu Yes, we will also use discord / Instagram for keeping you guys updated. Thanks everyone, you guys are awesome! Wow, you are freaking amazing! We crushed the goal of $12,000... we doubled it we got more than $24,000. The crowdfunding campaign will close soon and also all the offers regarding lifetime premium etc. If you pledged $100+ then feel free to join our discord server and send me or anyone in the staff them a DM and we will add you to the exclusive chat. I want to end this by saying that Edwin and I are super grateful for all the awesome support we have received from the community these last couple of days! Much love to everyone that has helped us so far. Best site ever. I hope this refuels your passion for what you are doing. Great job gentlemen. I officially don't understand one microbit of Dispord. Never used it, my teenage kids don't know it, Don't have the faintest idea.... 40 years old, that just may be it. How do you confirm that your donation is associated with your acct? Lifetime VIP, and since I paid in BTC what was a 100$ yesterday is only 90 today. Bargain!! Waiting for new exchanges API to be added. Keep up the good work on creating a very simple and clean portfolio platform. Just donated! Keep up the amazing work guys!!!! Hot damn! Y’all deserve it. Just recently fell in love with this website. Continue to build out a great product gentlemen! As alts get some of that light in 2018 that Bitcoin has been having in 2017, your site is going to be the go-to. Keep it up, and good luck! How long until this fundraiser ends? ADA is anyone long is it time to stock up like ripple? How soon is this ending? This month or next?